Direct From Listen Flavor in Harajuku, Tokyo! 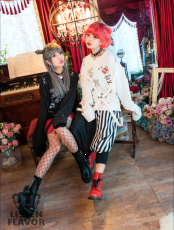 Keep it Secret are extremely excited to bring another great fashion brand directly from the Streets of Harajuku to the UK in the shape of Listen Flavor. 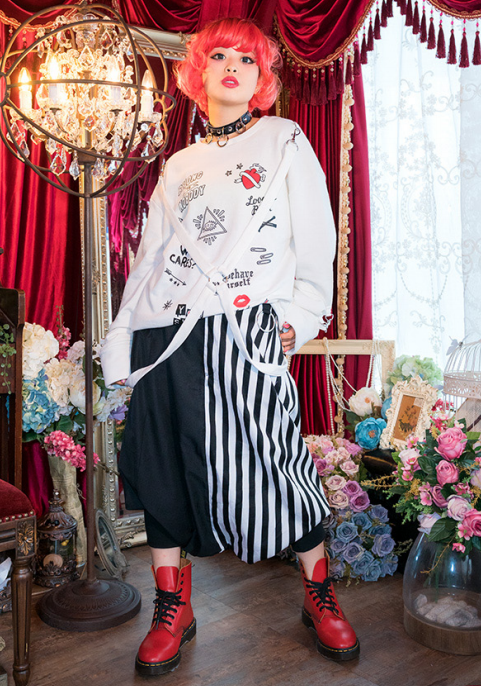 A huge statement piece with this over-sized Graffiti sweater complete with detachable harness strap. Decorated in Graffiti patterns on the front along with clips on the sleeve which allow you to roll them up lock into place. Or just keep them baggy. Super soft and cozy. 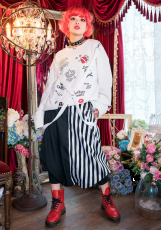 The ultimate is adventurous kawaii fashion. Please Note. All Listen Flavor Products are sent by Royal Mail Recorded Delivery regardless of any promotional offers unless stated. This product was added into our inventory on 23 Mar 2018 and has been viewed 573 times.